A quick guide to the insurance policies relevant for estate and letting agentsFor real estate and letting agents, insurance could be an essential tool for protecting against the cost of unexpected events. Your property agency could encounter a number of threats during everyday practice, which have the potential to render your business unstable – and financially vulnerable. Strictly speaking, there is no such thing as ‘letting agent insurance’ or ‘estate agent insurance’ – these are just umbrella terms used to describe a collection of policies that may be beneficial to a property agency. Taking out comprehensive business insurance can help to protect against these threats, and ensure your business keeps running smoothly. Professional indemnity insurance: This policy is designed to protect your business in the event that a client suffers financial loss due to advice or services you have provided. 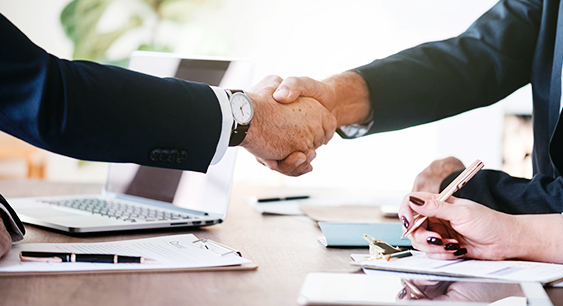 Professional indemnity insurance for estate agents and letting agents is an important form of cover, as much of your business’s work involves offering advice and expertise to homeowners and buyers alike. If you would like a professional indemnity insurance quote, click the link. Public liability insurance: This is also an important form of insurance for letting and estate agents, as it covers the event that a member of the public suffers injury, or damage to their property, as a result of your business’s activities. For example, if one of your agents damaged a client’s house while showing a prospective buyer around, you could be liable to pay to repair that damage. Employers' liability insurance: If your agency employs staff – whether full or part time, temporary, or even voluntary – there’s a good chance you’ll be legally required to have employers’ liability insurance in place. This policy can provide financial protection for you in the event that a member of staff makes a claim against you for injury or illness sustained as a result of carrying out their working duties. Buildings and contents insurance: Buildings and contents insurance policies help to protect your business’s physical assets against theft, loss or damage. Buildings insurance insures the physical bricks and mortar of your business, for example, your office building if you have one. Contents insurance can be tailored to safeguard the items that you’d like to insure. This could include electronic equipment such as computers, office furniture, fixtures and fitting, or cash you keep on premises. Business interruption insurance: If your property agency was unable to operate for reasons outside of your control, then you could suffer financially as a result. With a business interruption insurance policy in place, this financial burden could be lifted. For example, if a burst pipe in the street caused water damage to your premises and forced your business to close for a period of time, business interruption cover could help you to pay overheads during this time, as well as reimburse you for lost income. Directors and officers insurance: This cover may not be relevant to all property agencies, but could prove beneficial to those with high-level employees. Because the directors and officers of a business have more responsibility than other employees, they present a much higher risk to insurers. As such, cover more specific than a general level of liability insurance is necessary to protect them in the event of a claim. Directors and officers insurance can provide protection for your high-level employees, for example, if they are accused of malpractice, or giving bad advice. Fleet insurance: There’s a chance that your property agency has a number of branded cars that you use to drive to properties and meet potential buyers or tenants. If so, then you may want to consider taking out a fleet insurance policy to protect these vehicles against damage and theft. Fleet insurance is specially designed to cover multiple vehicles, so if your business has two or more cars, then you could benefit. How much does estate and letting agency insurance cost? The cost of your estate agents insurance policy will be influenced by a number of factors – chief among which is the extent of cover that you want to have in place. A detailed analysis of your business’s circumstances and insurance requirements are needed to find the correct price, you may want to think about getting in touch with a regulated insurance broker. To get a quote for insurance for letting and estate agents, get in touch with Make It Cheaper Financial Services. Our team of insurance experts can help you to decide which forms of cover you may benefit from, and can provide a competitive quote for bespoke insurance packages. Call 0800 970 0077 today.